In promotional materials, Bellarmine proudly calls itself a Catholic school, rooted in faith and mission; however, life on campus paints a very different picture. 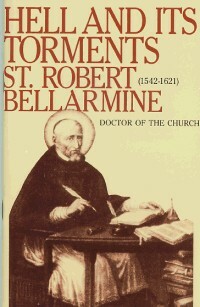 Bellarmine seems to apologize for its Catholic identity at every turn. It is not uncommon to hear campus ambassadors reassuring students that they never have to attend Mass if they don’t want to. Additionally, while on tours, ambassadors will take students to the Chapel in order to display the sports field, while barely addressing the Chapel or showing reverence to the Catholic traditions. I have little to add to Mr. Scott’s assessment, except that it probably errs on the side of diplomacy vis-a-vis Bellarmine’s relationship to its patron saint’s legacy. While I don’t know exactly how the author of Hell And Its Torments might view a Catholic liberal arts school that celebrates LGBQT Awareness Month, hosts Kinsey-rific conferences like “Swinging In America,”and doesn’t offer Latin, it’s difficult to imagine him regarding the place with unalloyed enthusiasm. What I’d highlight instead is the fact that the atmosphere Mr. Scott describes pervades not only Bellarmine, but the American Church in general, along with its educational system. Most archidiocesean school alumni I know have never betrayed the slightest qualms about their hero Obama’s position regarding partial birth abortion or the HHS mandate, and many explicitly scorn the idea that faith & morals is anything other than a matter of personal taste. If elite institutions here in Louisville or elsewhere exhibit much interest in resisting America’s anti-Catholic mainstream I’ve yet to hear of it; at this point a man both honest and informed will not talk of cultivating Catholic identity but rather of salvaging what’s left of it. The one thing needful in our time – an education in self-restraint, limits and tradition, the lessons our colleges and universities were designed to reinforce – is the one thing that our great universities are no longer well-designed to provide since our elders generally agree such an education is undesirable. Deneen’s description of “liberal arts schools” applies doubly to “Catholic liberal arts schools”. Any effort to restore Catholic tradition would “be objectionable across the board in today’s society – by faculty, administrators, students and even parents,” since “it would neglect the education in success.” In effect this “education in success” is a pipeline to supply transnational corporations and government bureaucracies with rootless, unattached cosmopolitan drones – the much-vaunted global citizens of tomorrow – who are conditioned for “living anywhere and doing nearly anything demanded by the competitive marketplace.” Today’s multiculturally-trained student possesses a superficial and touristic acquaintance with many different cultures, peoples, and religions, but is neither intimately connected with – nor seriously committed to – any of them. But then that’s the point. In the Brave New World, lack of commitment to a particular culture, people, and religion is both good career sense and a mark of moral enlightenment. To be fair, some naïve parents have simply been misinformed and misled by deceptive marketing and untrustworthy authority figures. But really, how big a role can concern for spiritual formation play in motivating so many of them to favor prestigious archdiocesean prep schools over NAPCIS schools? How many of those preferring Georgetown over Christendom College – or for that matter, over a good honest trade – do so because “the complete man” is their top priority? In many instances the same ambition-ridden fathers and mothers who’d never dream of forgiving a low US News & World Report ranking look the other way when spectacular scandals occur at hot-shot institutions. Preparing youths to face the modern world is one thing; preparing them to be assimilated by it is quite another. Elders playing dumb about what goes on at the dorms, during spring break, and in the classroom should familiarize themselves with the Angelic Doctor, who has observed that affected ignorance will provide no excuse come Judgment Day. I am the headmaster of a tiny school embedded in a village and the outlying community, a little republic of sorts, which embraces what it understands to be the most conservative of traditions. The school in its formal curriculum is attempting to embrace and be a community in the classical Christian tradition associated with what is left of Western Culture; yet, the attempt to that end is hampered and thwarted by the “unholy alliance” of which Patrick Deneen writes. The pupils want to overthrow the created order in the microcosm of the village, its community and its private school; and the parents want technology and science to advance their offspring to the next economic level so that they can become more self-gratified consumers than are their parents. At our school, it is a thin line of faculty and staff, few indeed, attempting not only to hold the line but to at least at points press the colors forward; however, most of us are old and tired. When age, death or exhaustion takes one of us off the line, the best we can do, often, is to hire a mercenary from among the enemy and hope to convert him before he subverts us. The excerpt from “Scott-King…” reminded me of the scene in the somewhat more maudlin “Goodbye Mister Chips”, when the new headmaster is trying to persuade Chipping to use the “new” Latin pronunciation. In the end, Chipping won — and lost — by his refusal to change. Many years ago, I was thrilled by a call to stand athwart history yelling STOP! It is only of the last few decades that my sensibilities have refined to declare, “to hell with history”. The “unholy alliance” (love that) of the Loony Left (miserable little nihlists) and BusinessRepublicans (styling themselves “conservative”) has produced a Juggernaut which will steamroll over every attempt to stop them, without even noticing there was an opposition. But, the solution IS obvious. The Last Time civilization fell, the small sparks of light that did burn throughout the dark night of Europe were found in the monasteries. The “Benedictine Solution” worked, when other attempts failed. Perhaps we should be building arks, rather than dams? Mr. Salyers: Where to begin…maybe with a heart-felt thank you. As a late in life convert to Catholicism from episcopalianism, and then 20 years later to the Trendentine liturgy (conversion finally complete), I have been haunted by Evelyn Waugh and other English literary and intellectual converts for decades. It is painful to reflect on Waugh’s, and other English Catholics’, ‘bitter trials.’ With correspondence such as yours above, it helps me to understand much of why the Catholic Church is nigh on to overwhelmed by the ocean of toxic filth that rages around Her. But you also help by showing where solace and resolution can be found. Again, thank you. A nice turn of phrase. But I doubt those who go to Georgetown will be assimilated, they already are part to the establishment. My worry is not for Bellarmine because it’s a lost cause, but I do worry about the few like Christendom because the Second Spring looks all too much like an assimilation and not enough like change for the better. I live in Missoula, Montana, a town known for its liberal, even counter-cultural sensibilities. I’ve spent some time at our University, have been in a few classes, and have met a few professors–but I’ve yet to find one of the “Left campus radicals” or “denizens of the liberationist Left” to which you refer. My guess is they’re mostly either attending Griz football games or hanging out downtown at Charlie B’s (a place which I’ll grant you offers a sort of release from moral restraints). Is it possible that UM didn’t get invited to join the “unholy alliance” to undermine Western culture? Because I guarantee you, if we got such an invitation, we’d accept it in a heartbeat.